This Election has been dominated by talk of sectarian pacts, inter-party deals and paper candidates. The major parties have sought to turn the campaign into yet another sectarian headcount – this time based on Brexit and the Border: the reality is that it is about neither. In its eve of poll video the Party summarises its recent election manifesto and sets out What Really Matters for working class people – employed, unemployed, young people or pensioners. 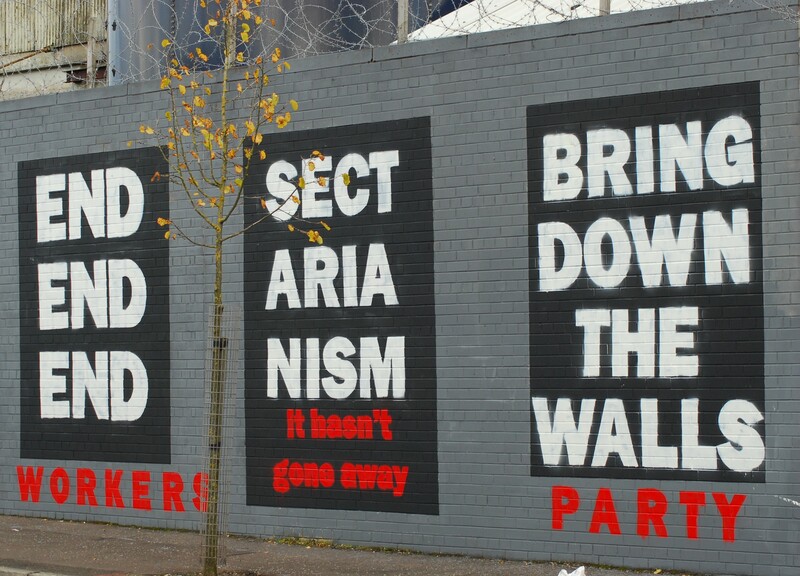 There are more ‘peace walls’ in Northern Ireland now than there were when the Good Friday Agreement was signed in 1998. The Workers Party has always been a strong opponent of sectarianism and division. The Party also believes that the walls and barriers which divide people in towns and cities across Northern Ireland should come down. On the 15th anniversary of the signing of the Good Friday Agreement the BBC’s Chris Buckler looks at ‘peace walls’ and some of the issues around them. His report also features footage of the Party’s ‘Bring Down the Walls’ mural in Northumberland Street in Belfast. 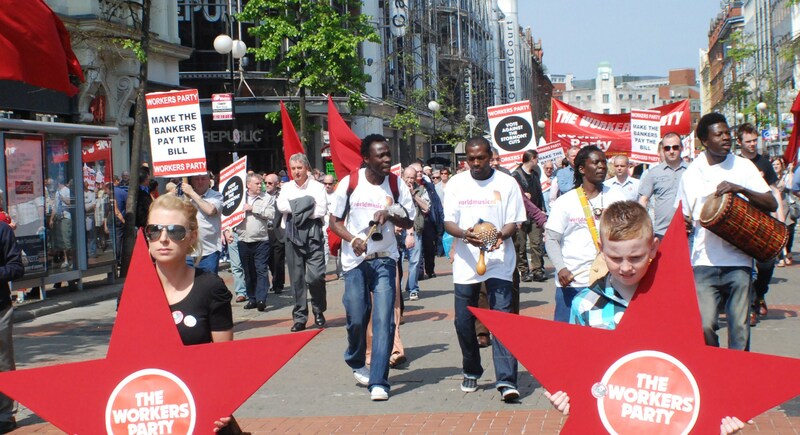 Video of the Day of Industrial Action rally in Belfast including interviews and comment. You can view the Workers Party Election Broadcast on You Tube . 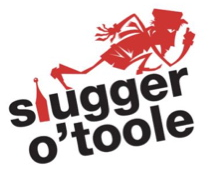 The ‘Slugger O’Toole’ blog site features the Workers Party in the latest of its pre-election interviews. May Day marks the international celebration of the social, economic and political achievements of working peoplethroughout the world. The Belfast May Day march and celebration left Writers Square at 12.30 proceeding along Royal Avenue, around the City Hall and back to Donegall Street via High Street. 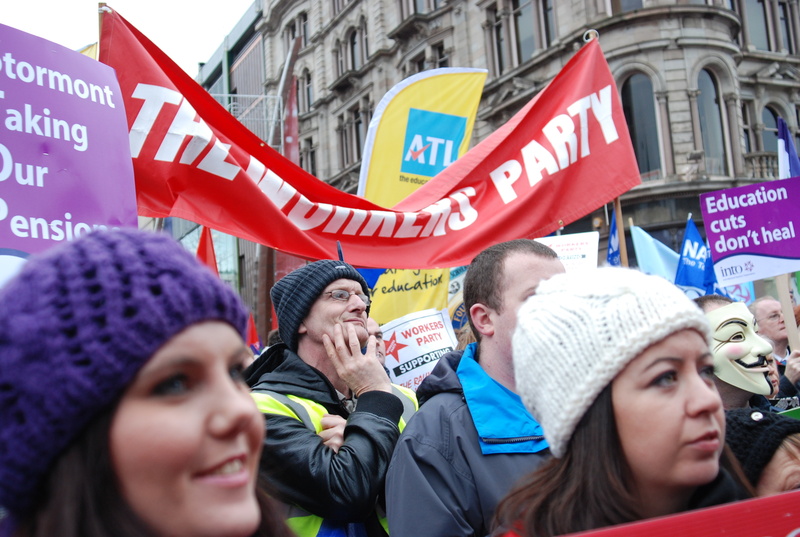 The Workers Party participatied as usual and this year the Party contingent featured the drums of the ‘Beyond Skin’ anti-sectarian and anti racist project. An election broadcast on behalf of the Workers Party was broadcast on Wednesday 20th April on BBC television and radio. Links to a selection of Workers Party videos will appear here shortly.